I’ve been an admirer of Gianni Galassi’s photography for quite some time. His cool, stark abstracts drawn largely from Italian architecture manage to combine precision and emotion in a way this kind of photography rarely does. I was ever more impressed after seeing his exhibition of large scale prints, Elogio Della Luce, in Venice a few years ago. He has produced a series of books, mainly I think self-published through Blurb, and recently announced a new one which was a bit of a departure from his usual work. 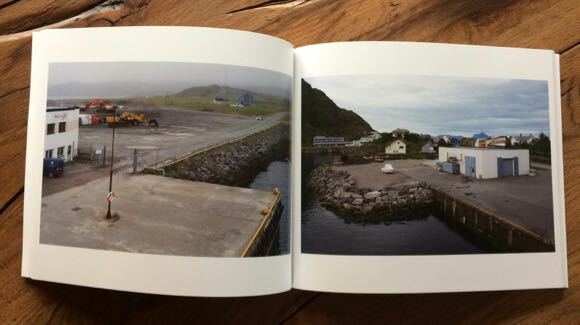 “Norway Texas” is a collection of photography of vernacular architecture from coastal towns along the Norwegian coast, from Bergen to the Russian border. The title draws not only attention to the parallels of the depicted scenes with the constructed landscape of the Mid West and Great Plains of the USA, but also explicitly to the cinematic atmospheres created by Wim Wenders. 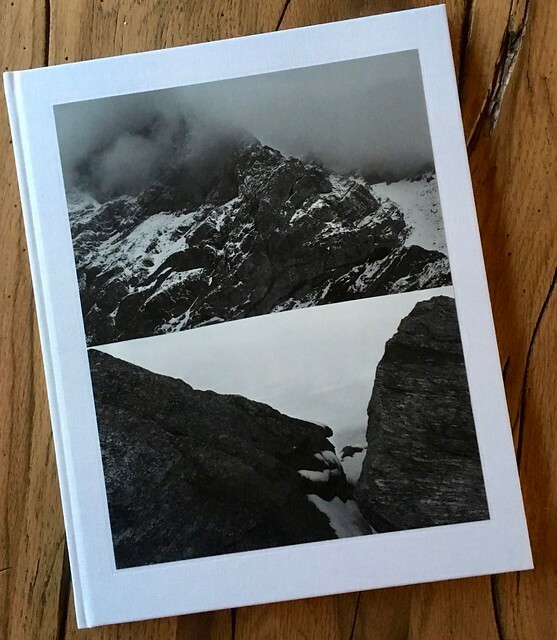 Gianni Galassi works more frequently in black and white, but this book features exclusively colour photography, which I think is an appropriate choice. The perspectives are generally a touch wider than much of the work published on his web site. These two aspects combine to remind me a little of the more romantic side of New Topographics school, with perhaps a little more warmth and saturation to the colour palette. The streets and buildings of “Paris, Norway” are devoid of people. Now and then a vehicle or a lit window might hint at habitation, but otherwise it’s an abandoned world. I’m not sure if this is intentional, but to me this gives the collection a slightly unsettling feel. 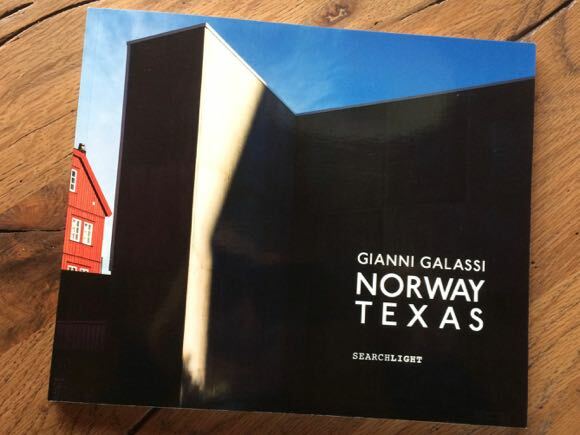 It would seem that a Norwegian coastal cruise threw Galassi into a rather unfamiliar context, photographically speaking, and he responded by putting together a rich and remarkably coherent body of work which is significantly different to his usual style. 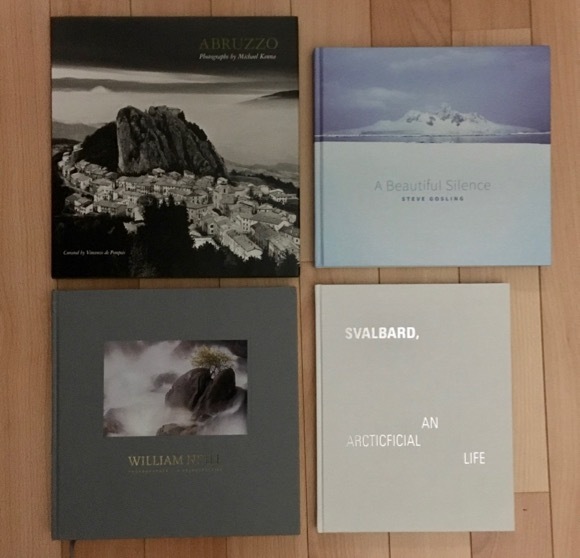 Physically, the book design is nicely done within the confines of what Blurb allows, and the medium size softback format gives enough space for the images to breathe while keeping the price at a manageable level. “Norway Texas” is a subtle work, which keeps pulling me back in. 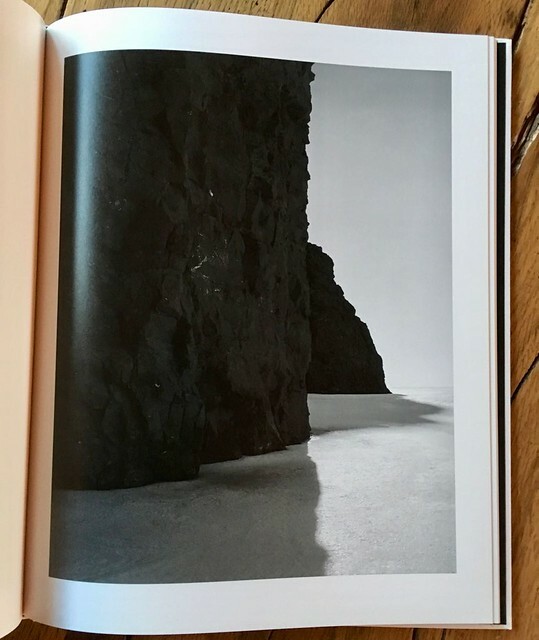 You’re not going to find any fjords, trolls or waterfalls within its pages, but you will find a compelling vision of parallels in frontier communities, expressed through very fine photography. 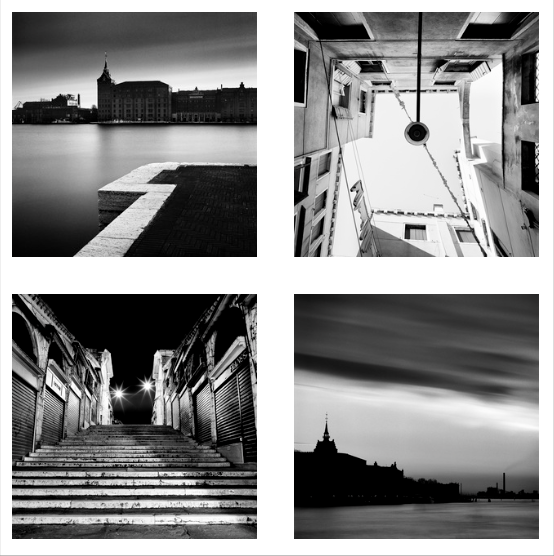 A quick survey of this website will reveal the author’s recurrent obsession with Venice. Indeed, if Venice had ice and penguins I’d never need to go anywhere else. Since another popular theme of mine is phonebooks PHOTObooks, damn it, Apple auto-correct - then there is an obvious intersection to explore. However, as I’ve noted in the past, this particular crossroads is less populated than one might expect. In fact to date I’ve yet to find a book of Venice photography that really grabs me, although I discuss on that last link, there are a couple that get close. Well, now there’s a new candidate to consider: Timeless, by Rafael Rojas. Over the past 5 years or so Rafael has been steadily building a reputation as one of Europe’s leading and most inventive landscape photographers. It might therefore seem a little strange for his first published monograph to feature not wild, colourful open spaces, but instead restrained monochrome studies of Venice. And indeed, taking it another step away from the habitual by photographing exclusively on film. With a fully manual prehistoric Hasselblad. But I’m certainly not complaining. The first thing that struck me about Timeless was the painstaking attention to detail and to providing a rich visual, subtle experience - and this was even before I bought the book: the dedicated website is a work of art in itself. The physical book fully backs up that impression. 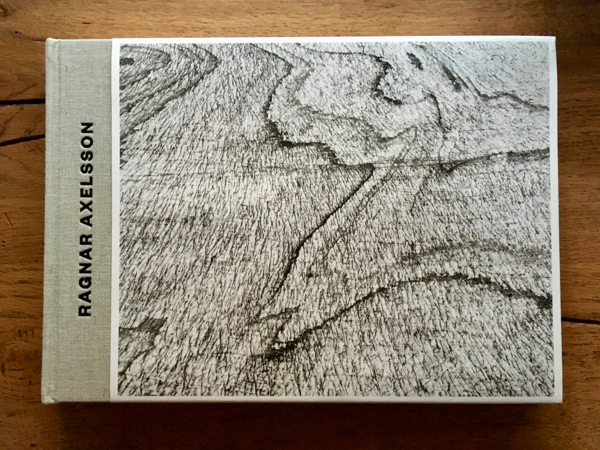 It arrives nestled in a black, silver printed slipcase, the book itself bound in vermillion hardcover. The whole presentation is somehow reminiscent of the spirit of La Fenice, an impression reinforced by the frontispiece. The print quality is just sumptuous, with deep, rich blacks and subtle tonalities. At the risk of repeating myself, the care and attention to detail that just leaps out of the pages is quite remarkable. As far as I am concerned, any Venetian photobook loses points for the showing following subjects: gondolas, The Rialto, The Grand Canal from the bloody Rialto, gondolas, St Mark’s Square, carnival masks, actually pretty much anything to do with the carnival, and gondoliers. And San Giorgio Maggiore is right on the limit. Oh, and did I mention gondolas ? Naturally, I’ve personally photographed all of these hundreds of times. And naturally, most are to be found within the pages of Timeless. But, crucially, they are all treated in original and interesting ways. Moreover, Timeless visits the quiet backwaters of Venice, featuring places I immediately recognise without having any idea where they are, but could surely find. Laundry hanging out over a nocturnal Castello contrada, quiet details from areas so close to, yet so far from the swamped, stifling tourist hotspots. The real star of Timeless, and indeed Venice itself, is stone. Stone in all its forms which has been used to create this absurd, impossible city, floating on a bed of mud and ancient wooden pilings. The photography revels in the endless combinations of texture of stone, the interplay with glancing natural and artificial light, with fog, with water, always reminding of the sheer unlikeliness and ingenuity of it all. Through the study of light and stone Timeless gets right to the heart of Venice. It’s a book to revisit and explore time and time again. And yet, Timeless is missing one important dimension for me. It’s obviously very subjective, but what else would it be: colour. For me, there is something absolutely unique about colour in Venice, especially winter light. It is incredibly hard to capture on film, needing an extremely delicate touch, and so I can understand the temptation of black and white. I don’t want to imply that black and white is some kind of surrender or second best choice - personally I’m completely inept at it, not that I’m much better at colour. But there still seems to be a certain strand of opinion that colour photography is for tourists. 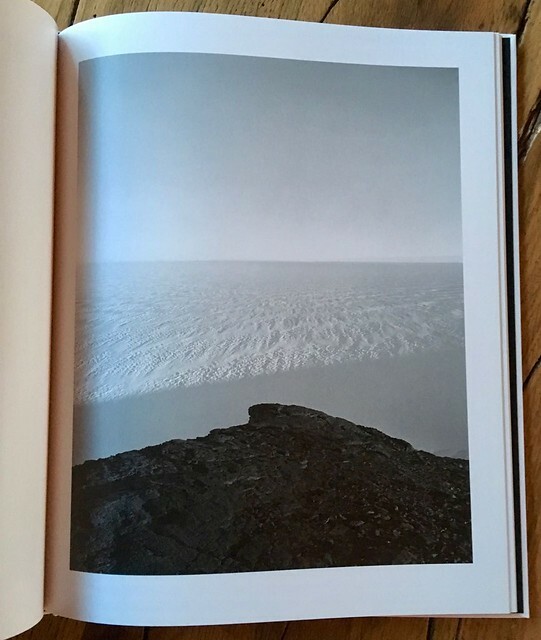 I’m certain Rafael Rojas does not share that view, and I understand that Timeless has certain set parameters, within which it succeeds brilliantly, but I’d love to see him produce a colour photography companion. See all entries in "Book Reviews"